Joby GM2 Gorillamobile Flexible Tripod: a super flexible tripod that has bendable legs and allows you to capture live action using your iPhone more conveniently. Joby products have great reputation which helps. 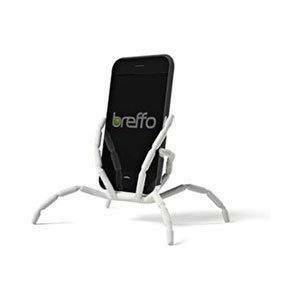 Breffo Spiderpodium Stand for iPhone: one of the most flexible mounts and stands for iPhone. It can be used in your car or house. Why settle for 3 legs when you can get 8! 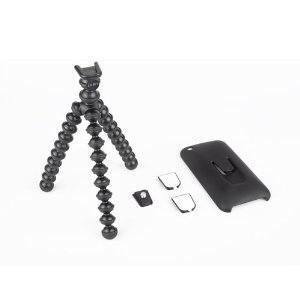 XShot iPhone 4 Case with Detachable Universal Tripod: a cool case with its own tripod for your iPhone 4. 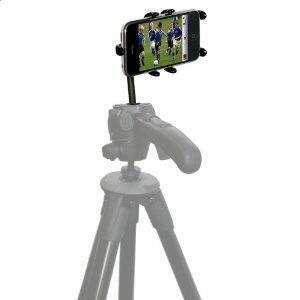 You can use it with other tripods if you prefer. The adapter itself is a life saver. 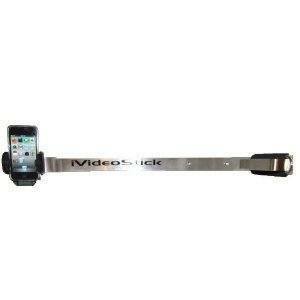 Steadicam Smoothee for iPhone 4: are you a master of shaky videos? 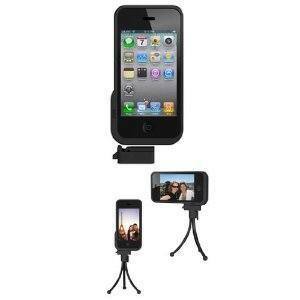 This cool accessory can help you improve the quality of your iPhone videos quickly. 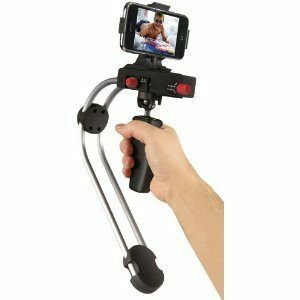 iVideoStick Stabilzer & Tripod Mount: gives you a helping hand to capture professional quality videos when you are on the go. 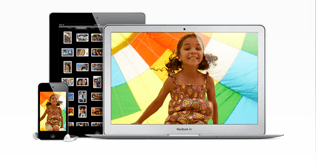 It lets you capture more stable videos. 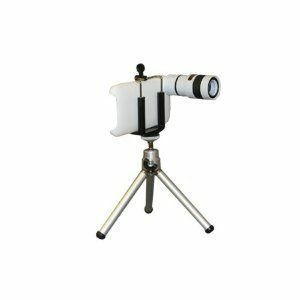 Clearmax Bundle for iPhone 3GS: if you have an older iPhone and need a tripod and lens for it, this is a decent case to try. 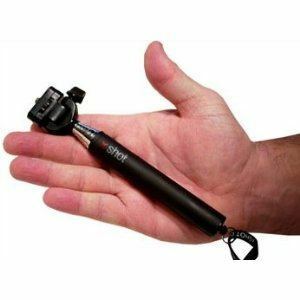 XShot Pocket Telescopic Camera Extender: not a tripod per se, but this camera extender lets you film yourself using your iPhone. 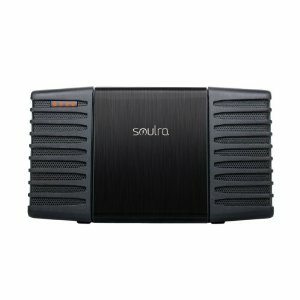 No need to be a master in Yoga or forbidden arts to capture your own video when you have this in your hands. Thought Out PED3-Tripod-PH iPhone Tripod Mount: a pretty useful tool for those of you who already have a premium tripod and just want to connect your iPhone to it. Offers 360 degree rotation. Have you got any suggestions? Which tripod or mount do you use to take better photos/videos with your iPhone?